A former addict, an ex-trafficker and a mother whose son died from fentanyl were all part of a weekend symposium in Edmonton aimed at saving Alberta youth from the deadly drug. 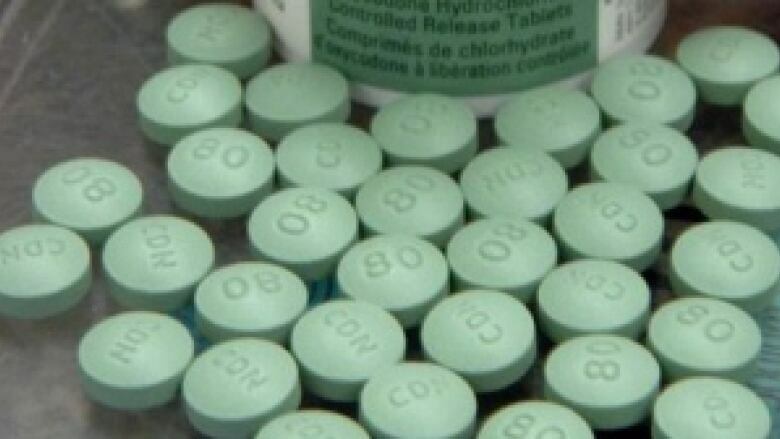 In 2011 fentanyl, a narcotic more powerful and dangerous than heroin, killed six Albertans. In the first five months of 2015, 145 people died in fentanyl-related deaths. You might not know it from his suit, tie and eloquence. But symposium keynote speaker Joe Roberts knows all about addiction. From the podium, he told the crowd about his life journey from skid row to CEO. While a teenager in the 1980s, his widowed mother married an abusive alcoholic who told him he was stupid and would amount to nothing. Roberts' middle class, secure existence went downhill. At the age of nine, the first drug he turned to was glue. It eased that feeling of not fitting in, not belonging. Roberts dropped out, left his Midland, Ont. home and started experimenting with intravenous drugs. It wasn't long before he found himself living under the Georgia Street viaduct in downtown Vancouver. "I'm a good kid from a good family," he said, but would often ask himself: "How did I end up here?" One day Roberts prayed to God for help, promising if he didn't die pushing his shopping cart on the downtown eastside he would work to get better and then pay it forward. He bummed a smoke from an old man named Gus, who saw past his yellowed, cracked teeth, dirty black fingernails, scruffy matted hair, self-pity and the stink.
" 'Inside you, you are an extraordinary human being,' " he told Roberts. "He said to me: 'Joe, there's more to you than you can see.' I will never, ever forget those words because they came to be the catalyst that helped me move my feet forward in some of the tougher challenges that were to come in my life in recovery." When Roberts told his mom about his recovery plan, she flew to Vancouver and accompanied him home. But it was a rocky recovery. At one point Roberts was so low he found himself drunk with a pistol in his hand. His mom called the police. "I never thought in my wildest dreams that the greatest help would come from a cop," Roberts told the symposium. What happened next surprised him even more. He went back to school, made the dean's list. Later, he became CEO of a multimedia development company and a motivational speaker. He is planning to push a shopping cart across Canada in 2016, as he did three years ago from Calgary to Vancouver, to raise awareness about at-risk youth. Roberts said it wasn't until he got connected into the community with nurturing people around to support him that things started going well for him. "I'm a byproduct of a community investment gone well," he said. "You can't land a big plane on a short runway. I had all the pieces in place for recovery." Former drug trafficker Mike Ryan said he has come back from a life of addiction to make a difference. As the founder of Clean Scene Network for Youth, he mentors youth battling addiction to give them the tools they need to recover and fulfill their potential. "I'm not proud of my past. I'm proud of the past since I've cleaned up. I'm proud of what I get to do today." An earlier version of this article included a quote about naloxone incorrectly attributed to Petra Schulz. The remark was actually said by another member of the MumsDu coalition Schulz belongs to, Jennifer Woodside.